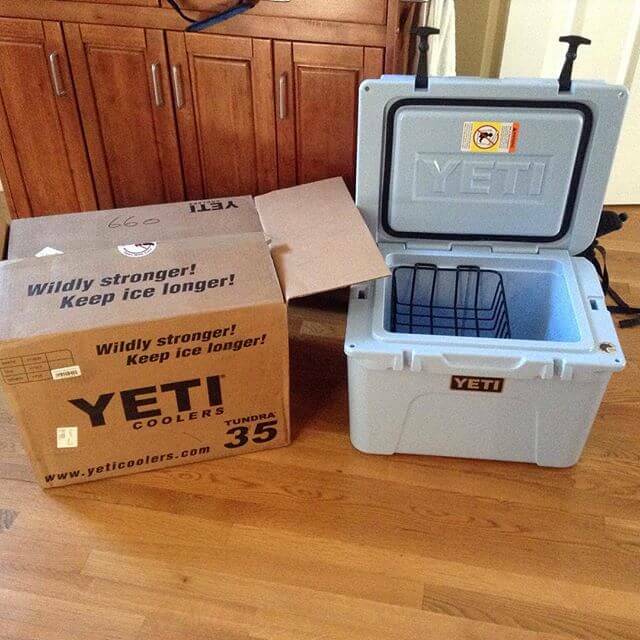 In this post, I’ll look into the elusive Yeti Cooler, which is creating quite a buzz in the world of camping and outdoor gear. There are two things that are obvious… First, it must be a pretty good cooler. Second, it’s not cheap! So, I figured I’d do the prospective cooler buyer a favor and take a closer look to see if the Yeti cooler was worth the price… Here are my impressions. After years of group camping trips and other outdoor adventures with a ramshackle old cooler, made from cheap red and white plastic, and definitely not without duct tape, it was time to replace my trusted, old dependable. If you’ve never experienced such a thing, it’s surprisingly tough to let go of a piece of gear that’s treated you so well over the years. Naturally, I thought of all the places we’d been together. Maybe I’m just sentimental, but I didn’t want to let go of it. My friends had been convincing me it was time, for some time, and I was never willing to listen. But the time finally came… I was packing up for a trip, and I looked across the garage to see my tired, worn down old cooler. Definitely not without some tasteful touches of duct tape. I took a long look at my old friend, and it finally hit me that hanging onto old red wasn’t doing either of us any favors. Is a Yeti cooler worth the price? I’ll answer that one first. 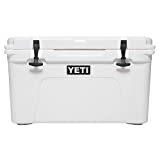 First of all, Yeti coolers are rotomolded– this means that they are constructed and manufactured in a similar process to a whitewater kayak. They are intensely sturdy, and they are extremely insulated. Their wicked insulation systems allows to stay refrain from melting more than almost any other cooler on the market… But, it’s hard to speak in generalities, because Yeti coolers have quite a range. The cheapest are just under $300, and the most expensive Yeti cooler are over $1000. So, naturally, there is quite a range. Some people say that their Yeti cooler retained ice for close to two weeks, but there are too many variables to give a set amount of time… Still, I can tell you that, from personal experience, I noticed an absolutely massive difference. 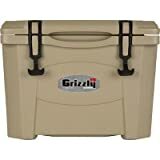 Yeti calls their products “premium” coolers, and I can certainly agree with that– as can all of the other people I have known who have used Yeti. 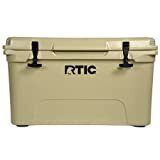 So, in case you can’t tell where I’m going like this: I think that a Yeti cooler is absolutely worth the money if you are looking to invest in a long term solution for your camping, adventuring, and other cooler-related needs. Quite simply, I’ve never experienced a cooler that is more effective than a Yeti. 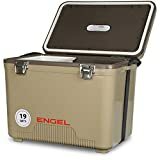 In my experience, everything that I had stored in my cooler had remained very cool after at least 48 hours, but I’ve never used it longer than that. Along with being UV resistant, the Tundra 35 is insulated with 2 inches of polyurethane. Along with being conveniently portable, it is quite durable– well, actually it feels like it might be indestructible, but I haven’t tested that yet! The handles have textured grips and are made from nylon rope, making the cooler very easily to carry. 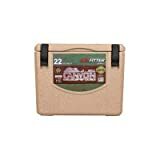 It might be indestructible, but it is definitely grizzly proof, which is invaluable if you plan on stopping by bear country. The Tundra 35, just like every other Yeti cooler that I have ever seen, heard of, or experienced, is built to be extremely strong and resilient. I have been using my Tundra 35 for almost an entire year now, and it is still holding incredibly well. It is not showing any signs of aging at all, really. As an active guy, I have to say that this cooler has made a massive improvement in the quality of my leisure time. So, yeah, sure. It is an expensive piece of equipment. But when it comes to food, water, and beer– these are precious resources out in the bush, and as far as I am concerned Yeti has revolutionized the way that I can keep these things cool. At $300, my Tundra 35 does amazing things for me on a consistent basis. If I have one regret about the whole situation, it might be that I didn’t have it in me to take a risk on one of their most advanced models… I can only imagine what kind of value those more expensive coolers would provide. Still, I’m very happy with. Oh yeah– if I have one other regret? It’s that I didn’t scrap the old red piece of junk a bit sooner! As I’ve become quite passionate about this awesome new cooler, expect a few more posts about it in the future, as I’ve got some more to say on the topic. 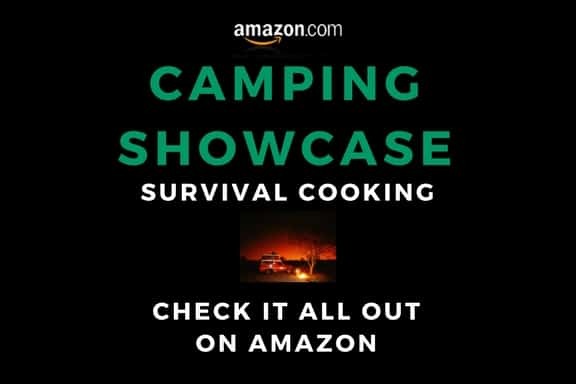 Until then, happy camping– and consider getting yourself a Yeti!